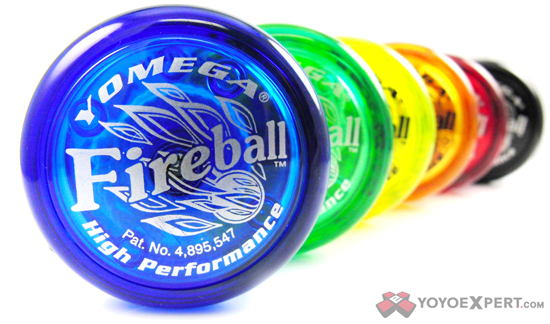 Thanks to its transaxle system, the Yomega Fireball has long been a favorite of aspiring beginners and intermediate players around the world. Its ability to deliver high speed, ultra smooth spins with its plastic transaxle certainly revolutionized the sport of yo-yo when it was first released (before bearing yo-yos). Recommended for beginner and intermediate level players looking for a great looping style yo-yo! PLEASE NOTE: Fireball are no longer as pictured and have new artwork. Pictures will be available soon.